"Cholita Mia" is a William Atkin designed 32' cutter. The design was based on the Colin Archer designed rescue boats of the Norwegian fishing fleet of the 19th century. 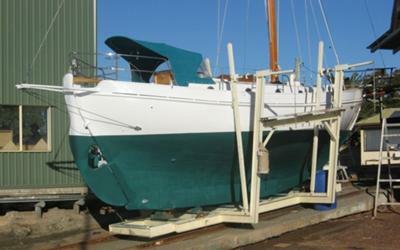 Dennis Vining from Queensland started building the hull some 30 years ago first at Redland Bay and then continued and completed in his front yard approximately five years ago. 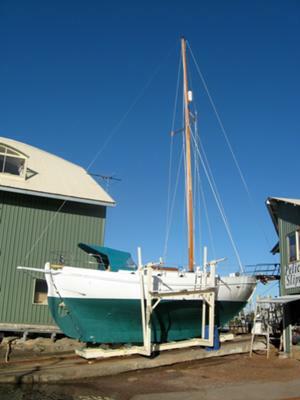 She is built of Australian hardwood and took nearly 18 months before she had fully taken up once launched. 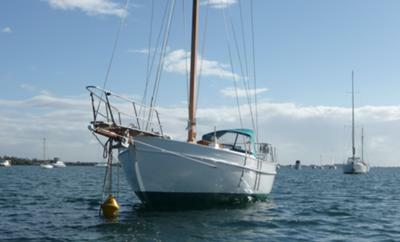 She is fitted out in timber and has an oregon mast and boom. I am in the process of completing her and hope to be finished early in the new year.